The gang does some shuffling for Episode 256 of The Reality Check as Elan joins Adam and Darren to record in Ottawa while Pat sits lonely in his lofty Toronto studio. The show starts off with Elan discussing the latest diet fad, going gluten-free. Adam then leads a game of Science Fact or Science Fiction™ about weddings. Darren closes things off by looking into whether Toronto is the most dangerous city in Canada. 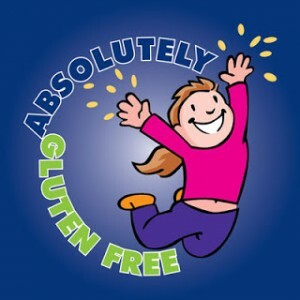 Diabetes.org – What foods have gluten? It is Ironic, Isn’t it? This entry was posted in The Reality Check Episodes and tagged 256, dangerous, diet, game, glutenfree, toronto, trc, wedding. Bookmark the permalink. For a second, I thought I was listening to the wrong episode, but it was the SGU that talked about gluten intolerance last week. It was especially curious, considering the listener question this week. Your answers included some of my all-time favorite podcasts (esp Radiolab!) but I was surprised that none of you mentioned the SGU. That made me wonder – do you guys not listen to it, do you not want to admit it, do you dislike it, or does it go without saying? It is kind of the giant in your arena, and it’s always nice to hear about new podcasts. Adam mentioned it but it was awkward so I edited it out. The reason no one else mentioned SGU was because the original question was basically: “other than SGU, what podcasts do you guys listen to?” I guess that didn’t come across. Indeed! I’m a big fan of the show. We’ve had 4 SGU cast members on our show in the past. Pingback: What should we eat ? You requested other podcast recommendations. If you like a particular show is of course going to depend what subjects you’re interested in (besides skepticism). Just to pick one really well produced, funny, and informative podcast, that doesn’t directly fall in the skepticism category, but counts as least some skeptics amongst its (co)hosts, is Caustic Soda: http://www.causticsodapodcast.com. And it’s Canadian. Thanks Yves. Downloading the most recent episode onto my phone as we speak. I’ll let you know what I think. Also to echo what the guys already wrote, we definitely do not have a feud with SGU. I personally am a very long time listener and I’m a huge fan of Steven Novella. I’m not as die-hard as I used to be; now I probably listen to around 1 in every 4 shows. It’s hard to keep up with everything when you have a podcast schedule that includes the ones I mentioned on the show as well as multiple Survivor and Fantasy Hockey themed podcasts. You’ve picked a particularly gruesome episode to start with. I hope you’ll like it, or, if the topic is a bit off-putting, you’ll give one of the older episodes a go. Most of them focus on one topic at the time, except for the “follow-up” episodes and some of the live shows. Just wanted to clear the air here as I’m partly responsible for the misunderstanding. What I’m here for today is to ask if you could suggest other podcasts for me to subscribe to? I really value all your opinions and I’m sure I’d enjoy the same shows. I recently changed phones and have had to set up my podcasts again. I have you guys and Skeptics Guide to the Universe. Hope this explains why SGU (everyone knows it’s awesome) wasn’t mentioned.